Brush; McCormack, Oman, McGuinness, Ledwith; Robinson, Chambers; McCabe (O'Connor 109), Sheppard (Zayed 100), Dennehy; Quigley (Finn 84). 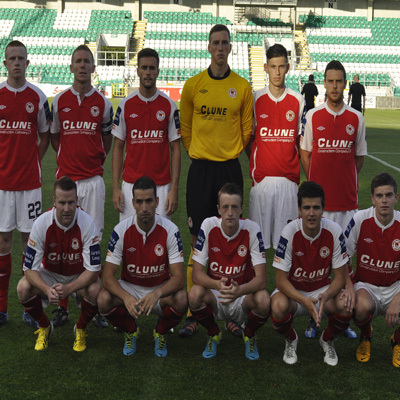 Gilmartin; Gannon, Kenna, Hoare, Fitzgerald; Russell, Maher; Forrester (McFaul 46), Durrad (Brennan 62), Kelly (Byrne 46); Fagan. 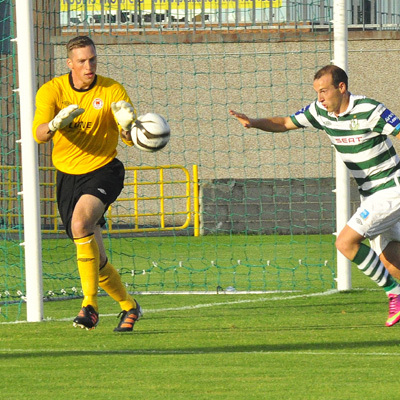 BILLY DENNEHY'S wonder-strike in the second period of extra-time earned Shamrock Rovers an EA Sports Cup semi-final meeting with Sligo Rovers. The winger settled this tie in the 108th minute by cracking a 35-yarder beyond Rene Gilmartin. Rovers had forged ahead on 52 minutes through Mark Quigley's only goal so far this term, volleying a loose ball into the net after Karl Sheppard flicked on a cross from Dennehy. The visitors equalised 11 minutes from time. 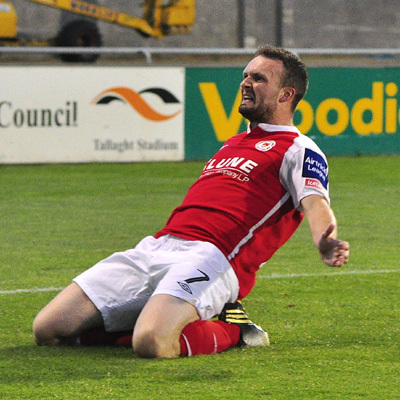 Released from a quickly taken free-kick by Killian Brennan, Conan Byrne charged into the box before belting a shot high into the far corner.